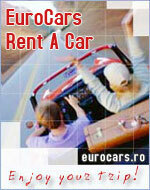 Category: **** Address: 87 Alexandru Serbanescu Bd. The 348 rooms are both formed single, twin, double, as well as Junior Suites, Executive and Presidential. Each room is tastefully decorated and elegant, and has international telephone, TV, minibar, free wireless internet access, smoke detector. Bathrooms are also equipped them with: bathrobe and slippers, bath or shower, cosmetics and hair dryer. The hotel offers a choice between the four restaurants, which are: Colloseum restaurant with international cuisine, Restaurant Kasttane with Romanian, Lebanese Restaurant Saidoun, Don Vito Trattoria Italian cuisine. The 7 conference rooms offer the ideal environment to enjoy your event a success, be it seminars, meetings, presentations and product launches etc.. Rooms are equipped with latest technology, such as: screen, flipchart, video projector, etc. Free wireless internet. In this hotel you could enjoy the beauty salon, health center, oriental cafe and casino.